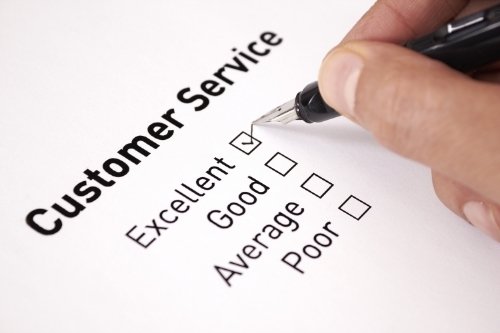 Six key factors to successful customer service complaints. We've all be in the position where we've bought something with a hiccup, or we had an experience that...lets just say wasn't part of the 'service description' we paid for. Needless to say, something made you unhappy (for good reason) and you want to do something about it. The first thing that may surprise you is that only 7% of people who encounter a negative experience end up complaining. Secondly, out of that 7%, the vast majority go about it the WRONG WAY. This guide will teach you six key tips that many overlook when in the heat of the moment to help you get more than just a 'sorry' back in your wallet. I always advise sending an email rather than having a phone conversation as you can take your time to think and aren't put on the spot to accept or agree to something. However, some people prefer to just call up and get it over with, so feel free to use this advice interchangeably! Unfortunately, there are people out there who kick up a fuss for no reason other than to try get something 'free' for the hell of it. If a company has had experiences in dealing with such people, they are much more reluctant to believing your incident. So with that said - if you don't have proof to back up your claims, your complaint may just get a simple 'apology' and 'it won't happen again'. This is an important point, because its also evidence for the company to be able to improve on things in the future. Filthy hotel room? Ineffective product packaging? Or even a stealthy recording of someone being rude? If you have the proof, you're in good stead and your evidence may end up finding its way into a training manual. Some complaints can be dealt with in person and on the spot, which is great. However, if thats not the case, make sure you get the name of a company representative and let them know what you've experienced. If your complaint is about another member of staff, that person may have developed a bad reputation for themselves amongst other employees, so this method can be a big plus for your case. Let them know that you will be contacting customer service and that you'll let the rep know you brought the issue to this persons attention. Also, MAKE SURE to THANK THEM! Having someone inside the company who can back up your claims and vouch for you only adds credibility to your dispute. #3 Be Nice - No, Seriously...BE NICE. I can't stress this enough - the person at the other end of the telephone or computer IS NOT YOUR ENEMY. In reality, around 99.9% of the people who email or call with a complaint will be frustrated, irritated and angry and take out their anger on this innocent employee. The only thing that does is upset and annoy this innocent messenger who also happens to be the person that will compensate you for the wrongdoing that has occurred. So don't be one of those people. Instead, be civil, calm, collected but make sure to get your points across and in a respectable way while acknowledging your disappointment. Remember: you are not angry, you are upset and you would like the company to make it up to you. You've heard the phrase "treat people how you want to be treated", well here's a perfect example of that in practice. The nicer you are the more chance you have of getting what you want out of this situation because they really don't expect to have a pleasant person getting in touch. If you are loyal customer then your troubles should be taken all the more seriously. Make your loyalty known in your email or call. Have your member number (or equivalent) at hand, note the past couple of times you've used the company or anything else you can think that shows your advocacy. Another tip that has worked extremely well for me is noting positive experiences you've had in the past. This shows the customer service rep that you are more likely to return to being a loyalist if you get what you want out of this situation. "Up until now I've never had a problem, the customer service has been fantastic, but unfortunately on my most recent visit....". You should ALWAYS do research before picking up the phone or opening an email browser. But what exactly do I mean by that? Well, chances are that people have had similar disputes with this company in the past and have written about it online either on a forum, discussion board or blog. Have a gander, see what other people received in similar circumstances so you know what your expectations of compensation should be. Most importantly, decide what YOU WANT to get out of this while being REALISTIC. For a filthy hotel room you aren't going to get a weeks free stay in a 5* resort in the Maldives (but if you do, PLEASE let me know how). A lot of people forget this one, but I consider it to be one of the most important as you are putting some good back into the world. Eventually (and it can take up to 28 days for some companies), you will get a response from a customer service rep. If you are happy with this response and think they have done a good job, tell them you would like to give positive feedback for the way they handled your case and ask who you can contact in order to do that. Just like any company, employees should be rewarded for doing a good job and with the amount of stress and strain these particular individuals face on a daily basis, your courteous act will help brighten up their day.